I was expecting the clipboard to restore the raw csv again. I like to use LibreOffice Calc as it offers a nice filter feature through Data > Autofilter making it easy to find the lines I want to use. Yet extracting that selection is not as straightforward. I will use the smaller file for setting up a unit test, which is why I don't want to change the format of the csv file even if it most likely wouldn't make much of a different given a proper csv parser. As the point of the unit test is to make sure it parses the actual format properly, and I don't want to test against LibreOffice's understanding of a CSV file. How can I maintain the raw formatting when copying from a CSV file in LibreOffice Calc? 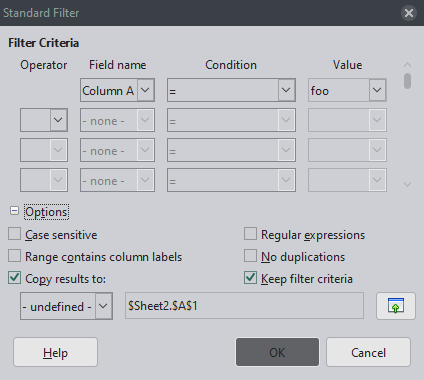 Instead of Autofilter, use Data -> More Filters -> Standard Filter and copy results to Sheet2. 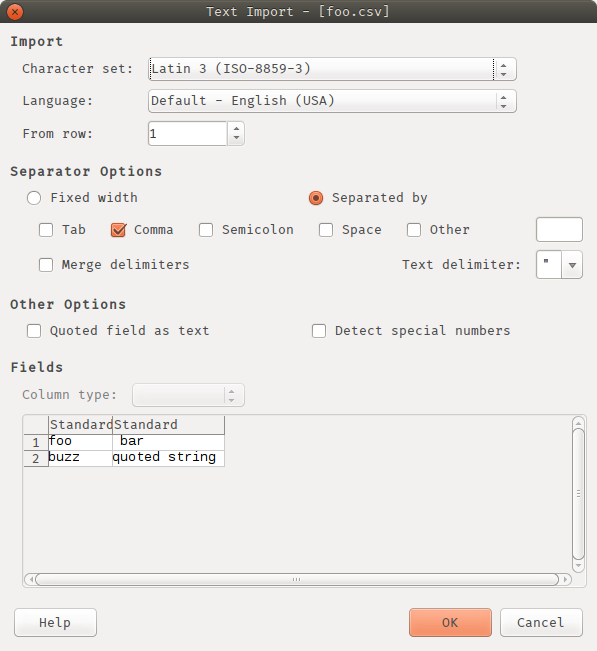 Then from Sheet2, go to File -> Save As with type Text CSV to produce the following file. This is slightly different formatting from the original. If it needs to be exactly the same, then LO Calc is not the right tool. Use sed or similar. Not the answer you're looking for? Browse other questions tagged csv libreoffice copy-paste libreoffice-calc selection or ask your own question. Libreoffice, how to copy from Writer and pasting unformatted in Calc, by default?